View the gallery / 6 pictures. Allowing the dress to be the main of focus, cause the sequinned was elegant with burning accents. 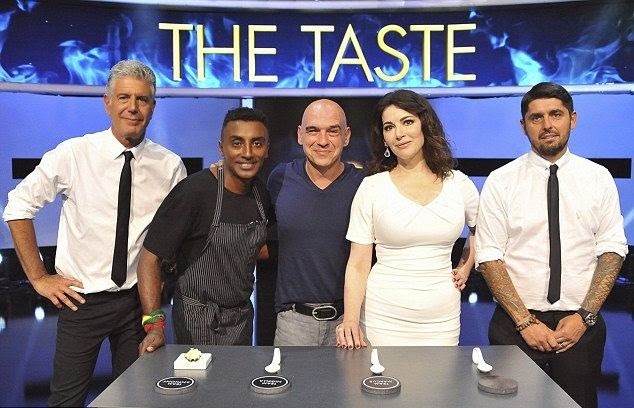 Opted for a white of skin tight dress, Nigella Lawson turned her head into the television show, 'The Taste' at New York, NY, USA on Tuesday, December 23, 2014. The 54-year-old sported a lovely white earrings and just put a softly lipstick to following her step up on the pair of red high heels. In that dress, how could we miss you?. 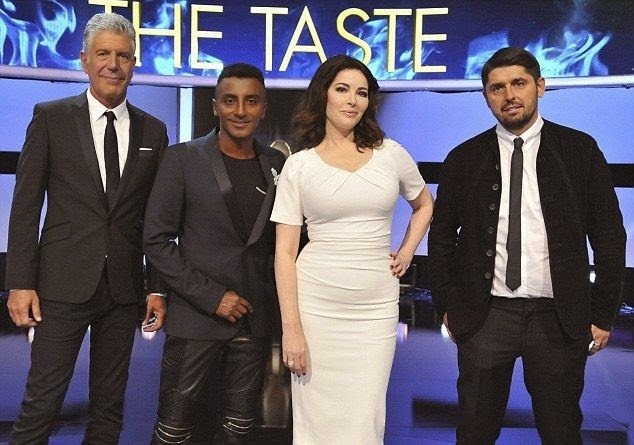 . . . . . . . . . . . . .Nigella, you are looked amazing for this New Year and Christmas appearance, Golden Glow!! !